Old Testament - Today in 2 Chronicles chapter 14 we read about the early year's of King Asa's reign, including his incredible prayer to God in verse 11! "Then Asa cried out to the LORD his God, "O LORD, no one but you can help the powerless against the mighty! Help us, O LORD our God, for we trust in you alone. It is in your name that we have come against this vast horde. O LORD, you are our God; do not let mere men prevail against you!" Unfortunately by the end of our readings today, in chapter 16, we read about Asa falling away from God and relying on a foreign king and physicians without any prayer for healing from God. He replaced God in his life with mere men. I wonder how often we do this in our lives today? Can you think of any times in your life where you have relied on people in the place of relying on God? How did that work out? I do think we can rely on people certainly - if we are also relying on God more so and if God is in the midst of the relationship with the people we are relying on. I think all would have gone well with King Asa in his later years if he had only been taught this motto that we teach our kids today: "Be a FROG!" :) Fully Rely On God! What about you in your life today? Are you a FROG? 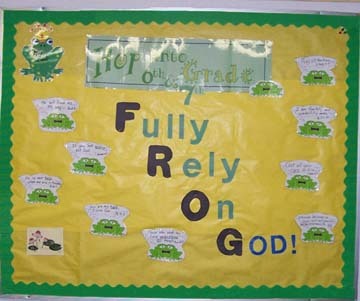 :) Let us all be FROG's! New Testament - Powerful readings from Paul today in Romans chapter 9! In verse 5 we read one of the clearest statements in the New Testament about the deity of Jesus! 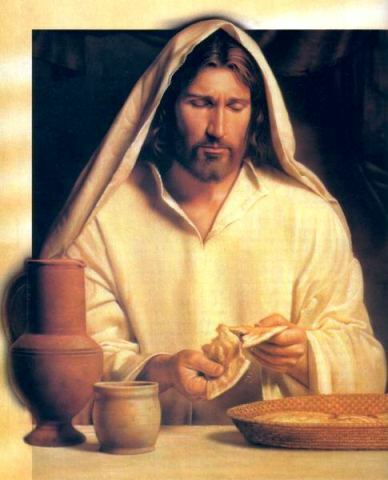 "Their ancestors were great people of God, and Christ himself was a Jew as far as his human nature is concerned. And he is God, who rules over everything and is worthy of eternal praise! Amen." Paul says here that Jesus is God! So, what say you? Is Jesus God? Bible.org's commentary on today's readings in Romans titled "Man Opposes; God Disposes" is at this link and "Divine Election is Questioned" is at this link. Proverbs - Proverbs 20 verse 1 today reminds me of the need for and success of modern day Alcoholics Anonymous - "Wine produces mockers; liquor leads to brawls. Whoever is led astray by drink cannot be wise." I don't have personal experience with AA, but have heard very good things about it from several friends. 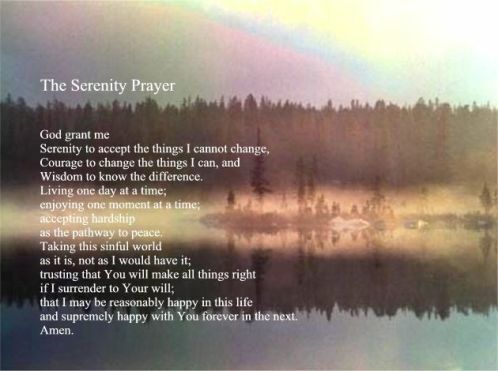 I do love the AA Serenity Prayer - I think this prayer is a great prayer for all of us - "God grant us the serenity to accept the things we cannot change, courage to change the things we can, and wisdom to know the difference." Amen. While I'm on the subject of alcohol, since the Bible brought it up and all :), mind if I go on a bit of a tangent on this subject? Thanks. :) I would be very interested to hear others views / experiences with alcohol in their lives in the Comments below. 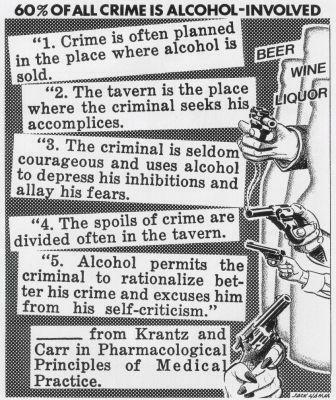 (I know that some of our denominations have very different views on alcohol.) I'll share with you here that I struggled with alcohol abuse big time in my teens and early 20's. Certainly this Proverb was true in my case - wine produced a mocker out of me. Liquor led to brawls - oftentimes more psychological brawls than physical. And certainly I don't think I had the ability to be wise back in the days when I was led astray by excessive drink. Very frankly, I nearly drank myself to death the night before I graduated college. Alcohol poisoning / a black out got a hold of me that night. I'll spare you all the details, other than to say that after my near-death experience with alcohol, I knew I had a decision to make. Keep going the way I was going and I would die. Or go another direction. I didn't quite know what that other direction was or would look like, but I knew I had to go in the other direction away from alcohol / the party life. And thankfully God led me to Him. It took me 6 years of searching from the night I almost drank myself to death to the night when I accepted Jesus as my Savior, but it was the most important journey to undertake in my life. (The journey to Jesus is the most important journey in all of our lives...) So, yes, alcohol can be a dangerous thing, to say the least. I do know many Christians who do not / never have really struggled with it. I don't fault anyone for drinking in moderation. (These days I don't drink anymore - gave it up when I became a father.) I just know that many people reading this blog likely struggle with or know someone who struggles with alcohol. All I know is that if alcohol is something that you are "allergic" to, stay away from it. Don't touch it. Get into AA if tomorrow if you need to. (please... do it if you need to...) Let each of us never forget this Proverb 20:1 - "Wine produces mockers; liquor leads to brawls. Whoever is led astray by drink cannot be wise." Worship God: As we're reading Psalm 19 today, I think it's appropriate to share this "God of Wonders" video with Third Day and Caedmon's Call! 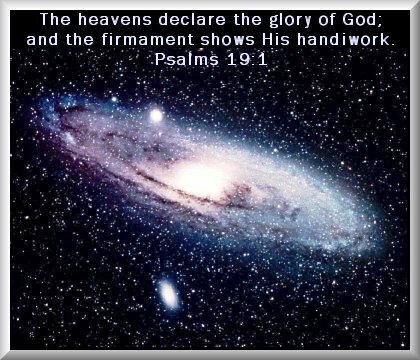 Do you know our God of Wonders? Click here for Mr. Wonderful! 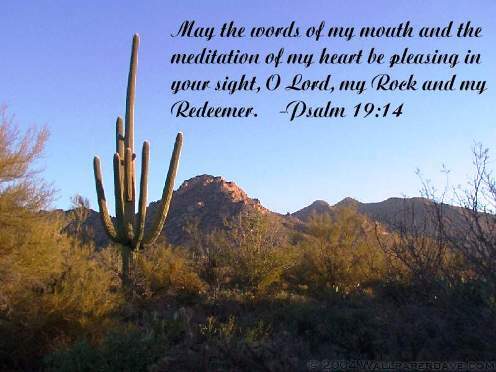 Prayer Point: Pray that the words of your mouth and the meditation of your heart today is pleasing in God's sight. I so appreciated today's meditation, especially the proverb about alcohol. I have been a member of AA for over 20 years, and it was actually my pathway to deeper Christianity. I was definitely a Christian, even in the throes of my alcoholism--- one of my favorite things to do at night was curl up with the Bible, a bottle of wine and my cigarettes. ( I look back on that picture now and laugh! ) But of course, Christ's call is different upon everyone, and I am so thankful that even in the midst of my sin [drinking not a sin for everyone, but He definitely showed it was for me] Christ was there, reaching out to me, loving me, letting me learn more of Him and His ways. I am so thankful that this was my path, otherwise I might be such a Pharisee today! He has provided for me a beautiful life, complete with dear husband, precious children, and abiding faith; and without my besetting sins, I really think I may have fallen into a life of deeper unrepentant sin (pride) and not ever gotten to know the real Jesus. At any rate, though I don't comment often, I love the daily Bible blog and thank you for your continual ministry to us!